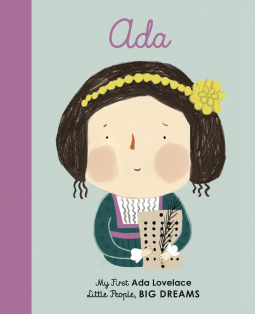 An entry in the My First Little People, Big Dreams Series: Ada – Joyce's mystery and fiction book reviews with some non-fiction too! This is another charming entry in the board book version of the Little People, Big Dreams series. It tells the story of Ada Lovelace, a mathematician who programmed an early computer-like invention. The story is simply told with appealing illustrations. 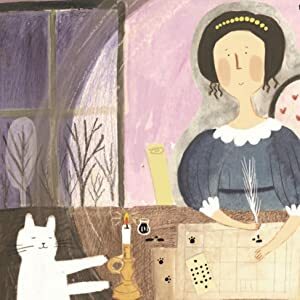 Young children can find Ada’s white cat throughout the story. This series received kudos from me. It inspires children to explore, be curious and know that a world of discovery awaits them. Many thanks to NetGalley and Quarto publishing for another entry in a favorite series. She wrote a code made up of numbers, that would tell the calculator what to do. ← Will you say yes to Oh No?